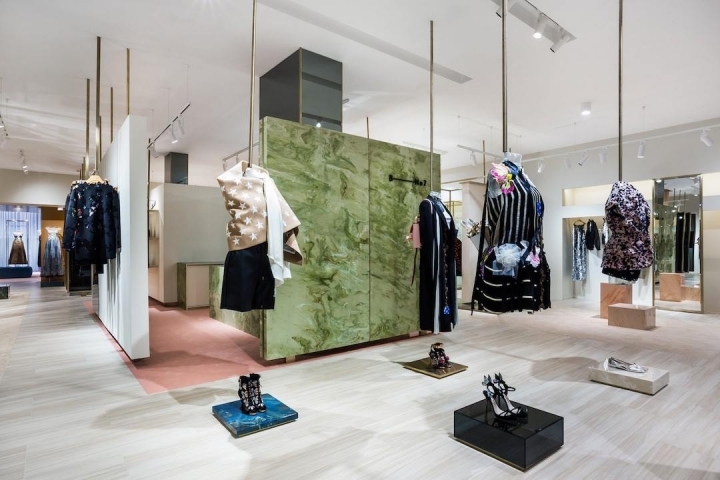 Attempting to speak to the Moscow-based brand Boutique-No.7’s exclusivity, it’s recently renovated outpost conveys the look and feel of an art gallery. 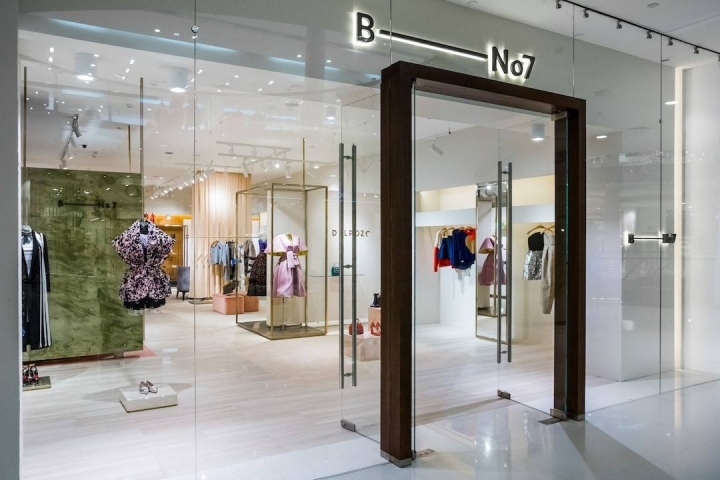 Designed by CuldeSac (Valencia, Spain), B-No.7, as it’s referred to colloquially, is owned and operated by the Muscovite influencer Armida, who had a big impact on the store’s design, according to Pepe García, director, CuldeSac. 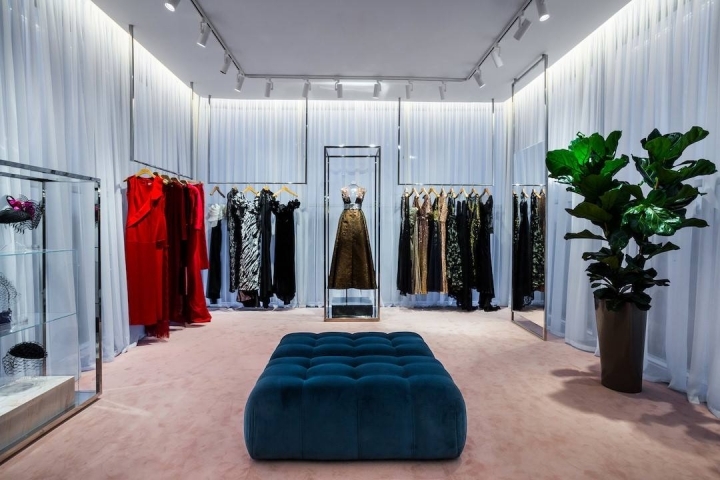 The firm wanted the space to be reflective of her personality and give customers a feeling of exclusivity, so they created areas like the VIP section that’s highlighted by a backlit frame, and coves where Armida can speak privately with customers. 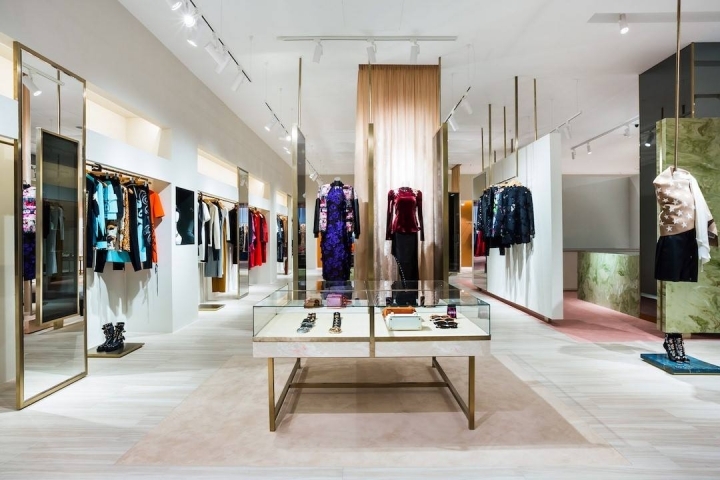 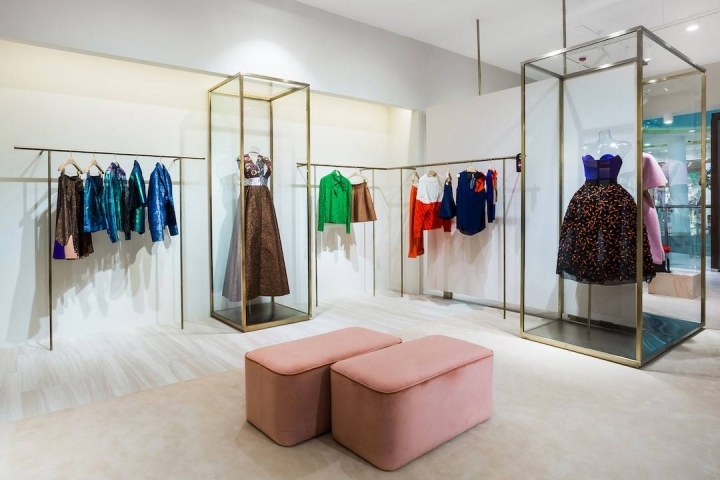 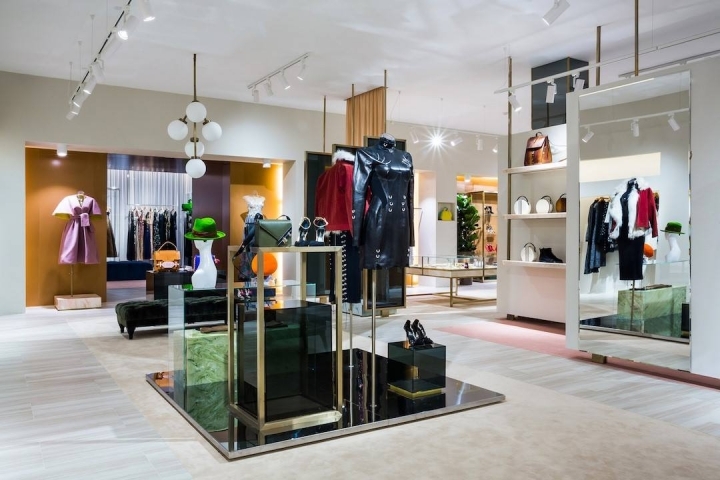 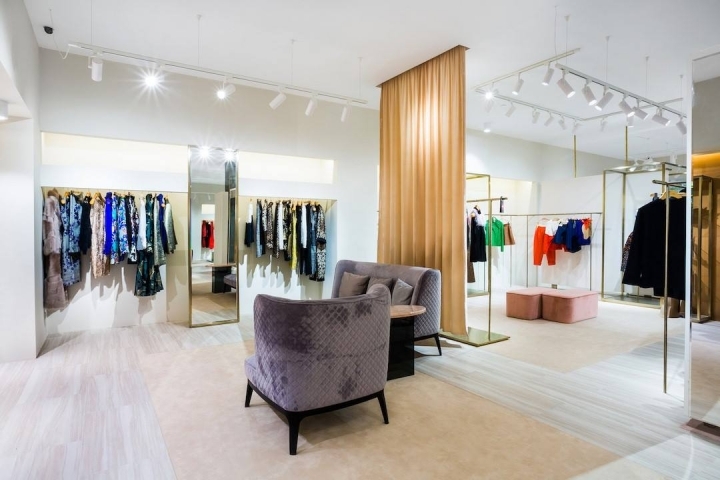 The space is organized to spotlight collections and featured designers, like Alexander Wang, Christopher Kane, and others, and is sectioned into smaller vignettes throughout. 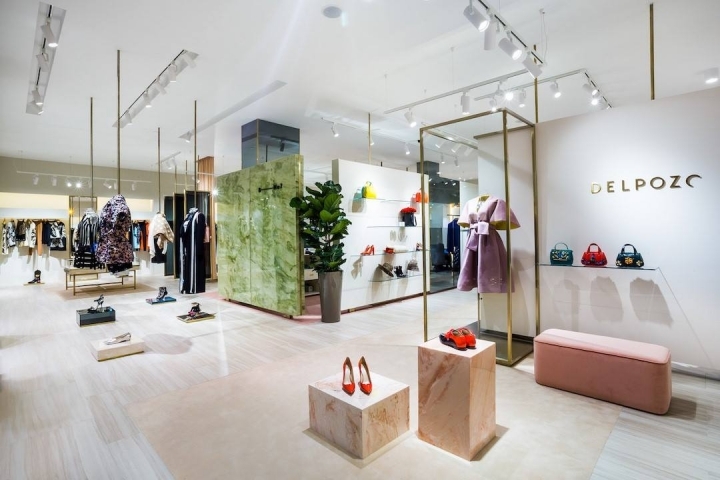 Along with suspended panels and glass display cabinets, pastel colors and luxurious materials, which include brass, steel, velvet and onyx, help elevate the tone. 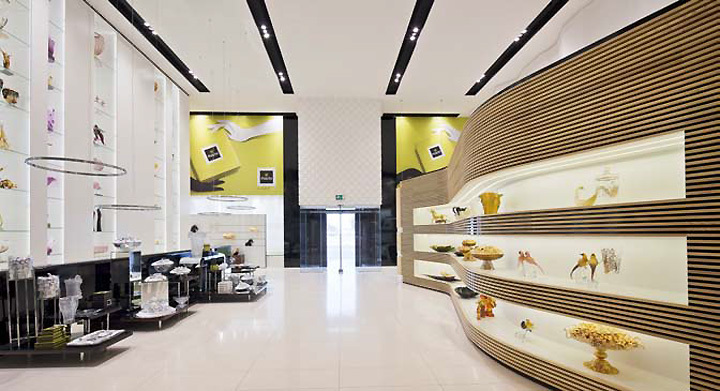 Curtains partition collections, and “mood lighting” mimics museum illumination levels. 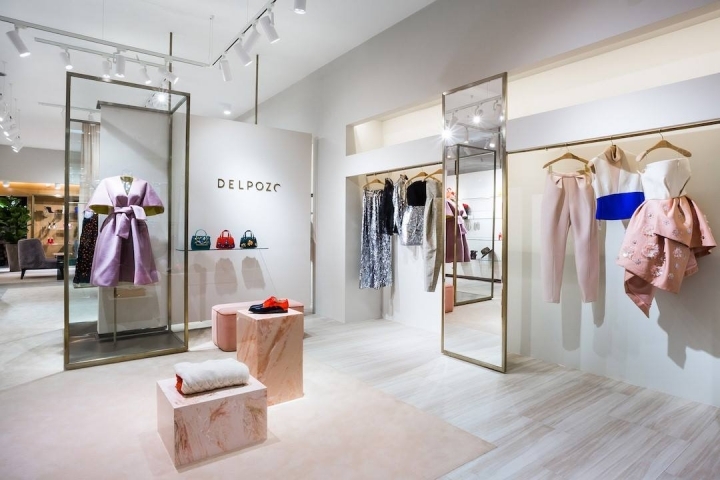 Customer service is a large piece of the in-store experience, with an emphasis on the shopper’s personal needs and preferences.